Many of us love long trips down the road with our friends, family and sometimes by ourselves, but there are those of us that hate it as well. After driving and hour or so with everyone entertained without electronic devices, the painful moment comes when our devices warn us of the eminent truth. That truth being that that electronic device will discharge and there is nothing you can do but watch that battery drain and slip into nothingness. 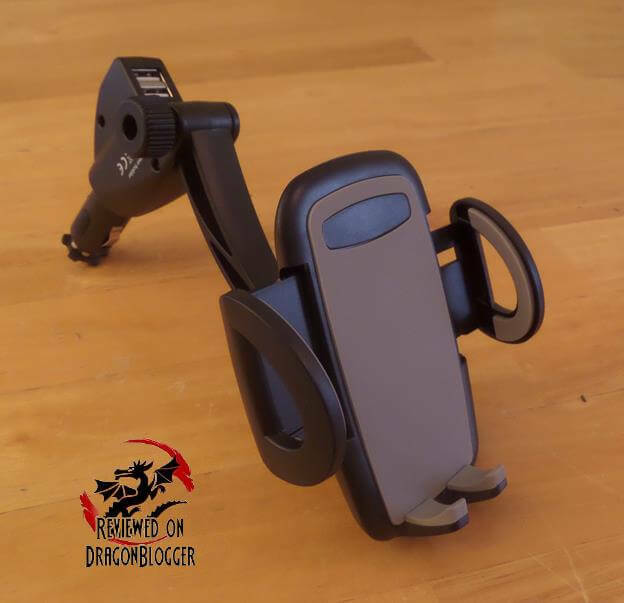 Today we are reviewing the Sundix Dual USB Universal Car Charger and Holder. This little guy can save you lots of headache and money; let’s first take a look at the specs. 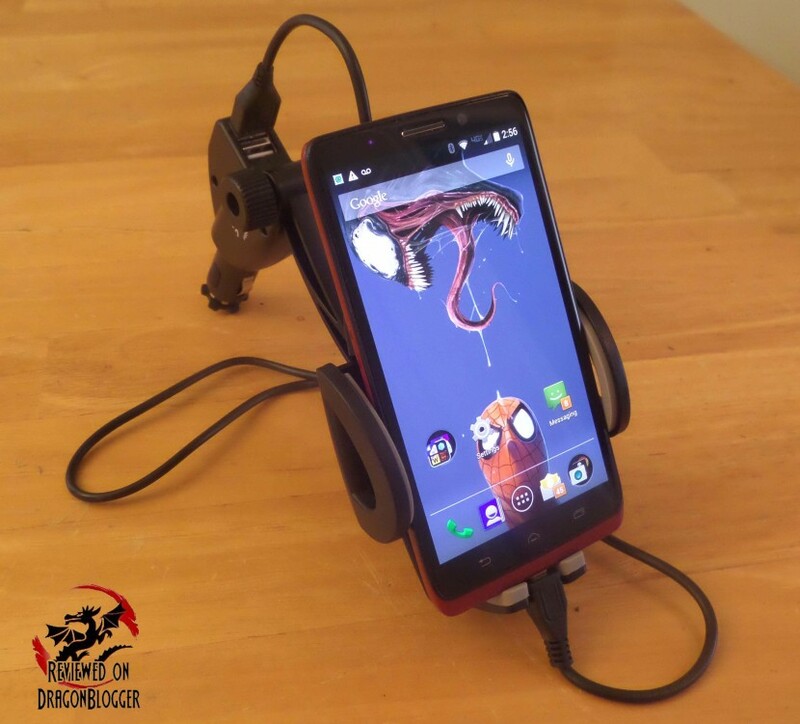 While your phone is being held charging, you can also charge another device, up to 2 devices so you can be charging another phone, tablet and other devices. It provides up to 3Amps of power. iPhone 6 and 6 Plus comes with a 1 Amp charger, Samsung S6 and S6 Edge a 2Amp charger and you get the point. The above pic can be a bit awkward, so let me show you how it works. Pretty handy right, and very adjustable to make sure it does not get in your way. 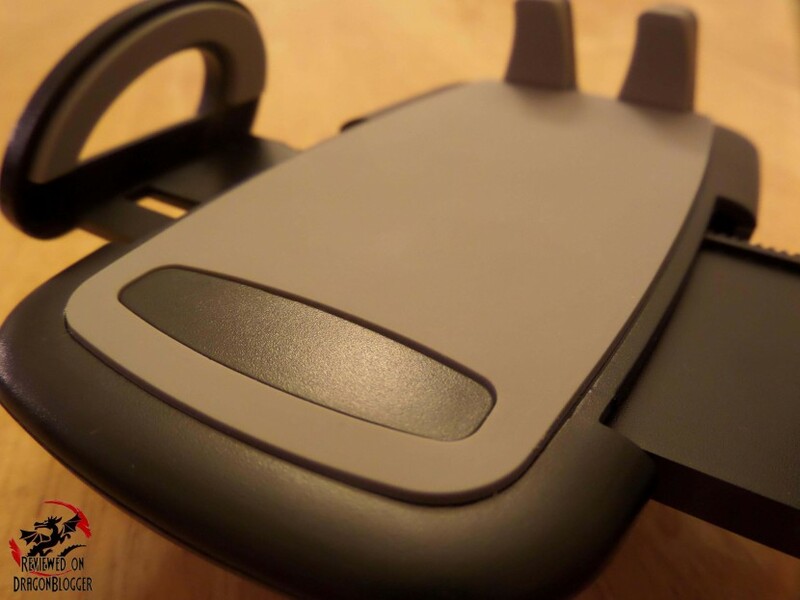 The cushion on the phone holder makes sure that it does not scratch your phone or device and so do the rounded edges. The rounded edges keep it also from scratching your car, my older car died in December, so I want to keep my new baby nice and clean, scratch free. Oh and I know I mentioned in this video about other devices, but I never showed you, here is how it looks like with a GPS installed. 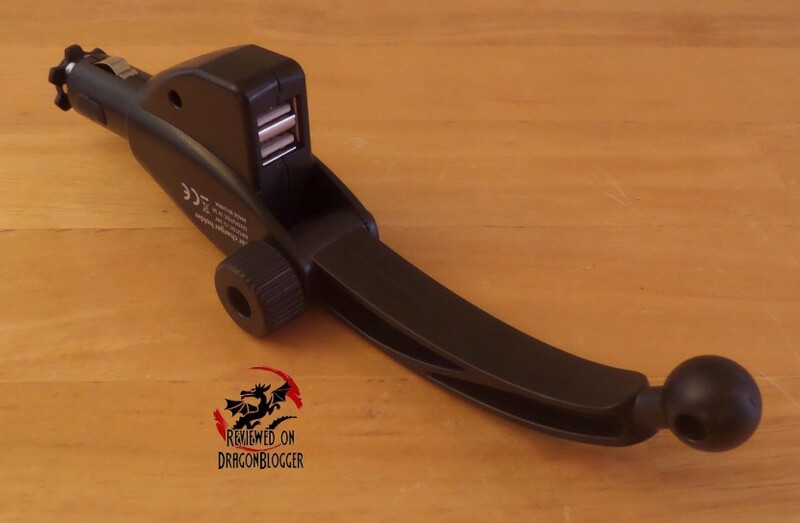 I went over again in the video how expandable the holder was, but you can see a pic here. The odd looking little arm, as you saw in the above videos allows the device being held to move just about any which way you want to move it. And here is my newer phone with the Otterbox Defender which does add some weight, depth, height and width, but it can take it all. Please note that not only does it expand to hold large phones, the parts that touch the phone are covered with thick foam padding not only protecting your phone from moving all around and from scratches. 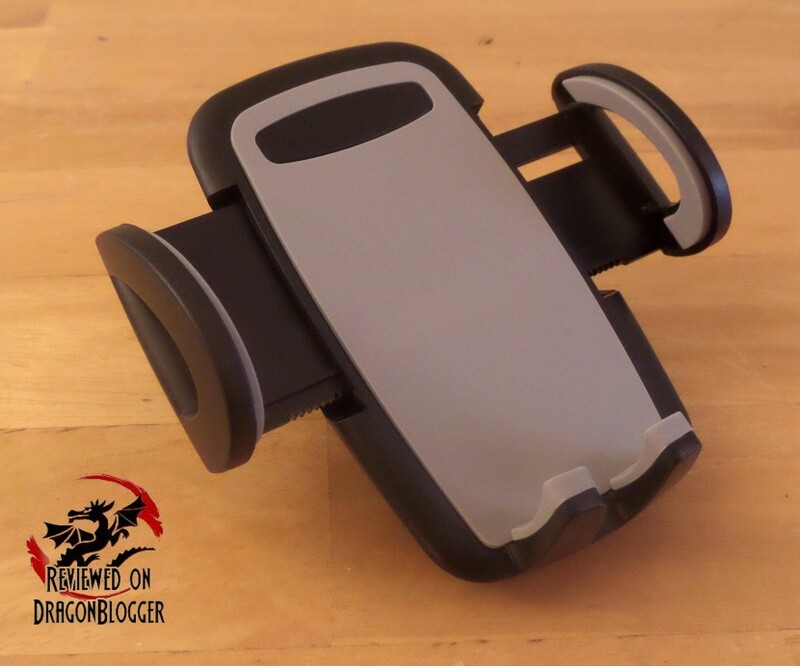 The odd looking arm, allows the phone to move just about any which way it wants to. 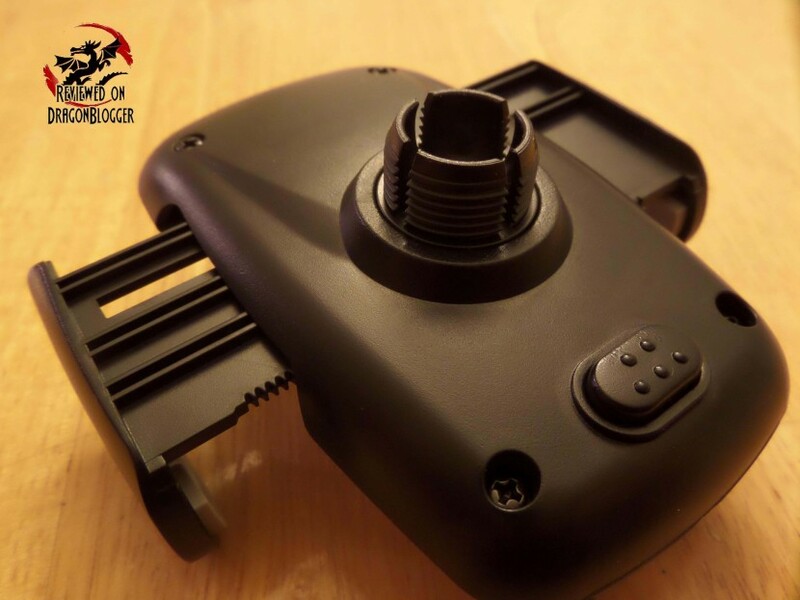 Twisting the part that plugs into the light outlet, then you can adjust the arm up and down by loosening and tightening the fastening knob and finally allows the phone to adjust even more with the ball joint. 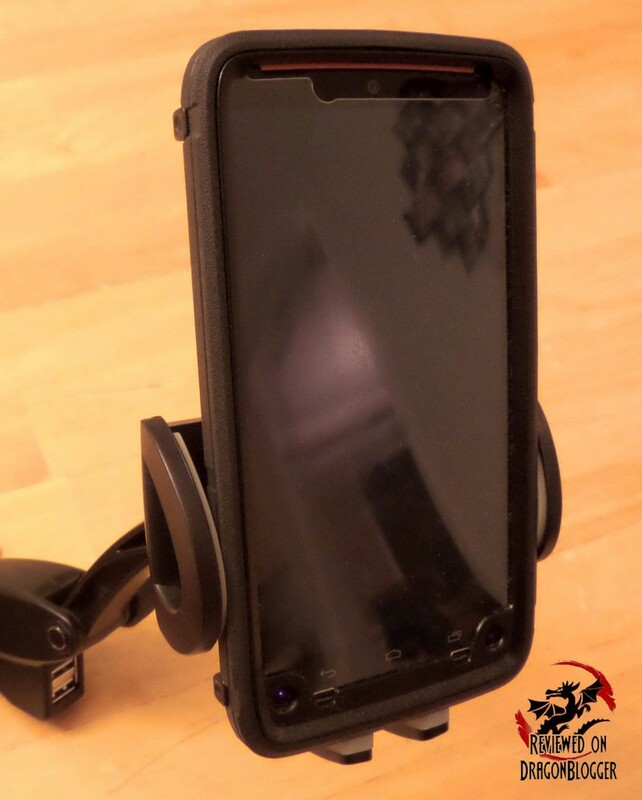 That little button on the bottom also allows you to expand the arms to hold larger phones, or press and hold the button while pushing the arms in for smaller phones. 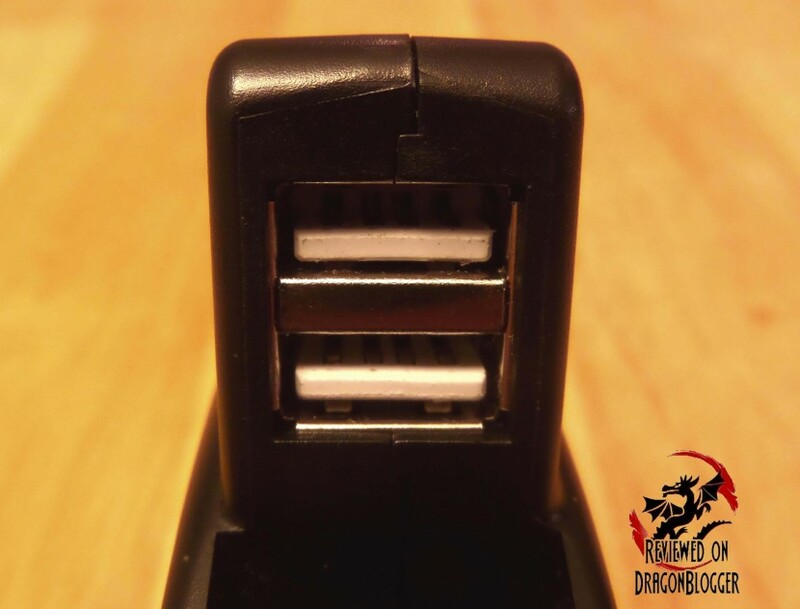 And here is a close up view of the USB ports. Aside from being able to hold just about all of your USB devices in your car (aside from tablets, but it can charge them) this little guy is amazingly affordable as well, I like affordable. So that’s pretty much it, the Sundix Dual USB Universal Car Charger and Holder is a great little device that does all it says it can do but keeps it simple. No frills no thrills it just works. There is no way I could give this anything lower than 5 stars. I recommend it so much; I am also getting one for my wife’s car.